These Terms and Conditions govern your use of this website. Before using this website you should read them carefully. If you do not agree to these Terms and Conditions please do not use this website. Your use of this website signifies your acceptance of these Terms and Conditions. BPML operates through a network of ‘Regional Partners’, these are private individuals, partnerships, or limited companies who are privately owned and have been granted a license to trade as The Business Partnership. BPML has no liability for the actions of Regional Partners and in turn they must not purport to represent BPML. The businesses on this website are advertised on this website for sale and you should not contact a person advertising on this website unless you have a genuine interest in purchasing the business advertised. You should not contact any person for other purposes such as the solicitation of business or offering of your or any other person’s goods or services. BPML and its Regional Partners will hold and process any personal information which you provide to us on this website at the time of registering in order to facilitate and enhance our services to you. We may also use such information for the purposes of market research. Information is collected lawfully and in accordance with the Data Protection Act 1998. We will take reasonable care to keep your information secure and prevent unauthorised access or use of it. All data of a personal nature to include; – your name, address (home and work if applicable), email and telephone contact numbers will be requested when you register on our web site. This personal data will be shared amongst our Network of Regional Partners; such Regional Partners will respect your privacy as if they were BPML. You have the right of access to the information that BPML holds on you, if you require access our data protection officer will require verification of your identity, likewise if you wish to update such information held please advises accordingly. In the event that our business is sold or consolidated into another business your details may be disclosed to any prospective purchasers and their professional advisors. BPML does not carry out any due diligence or investigations into the businesses advertised on this website or the person’s advertised and has not verified any of the information appearing on this website. Accordingly, BPML can accept no responsibility and shall have no liability whatsoever, for any claims, demands, costs, losses, expenses or damages howsoever arising whether direct, indirect or consequential in respect of any omissions or consequences of actions taken by users based on any information, opinions or advice contained within this website. BPML, a company registered in England and Wales (registered number 04459291) trading as The Business Partnership, has made all reasonable efforts to ensure that all information provided through the BPML web site (www.business-partnership.com) web site is accurate at the time of inclusion, however it is possible that from time to time there may be occasional errors or omissions for which BPML apologises and holds no liability. BPML, its directors, shareholders, regional partners or their employees make no representation or warranty. Express or implied, as to the accuracy or completeness of the contents of this web site, and reserves the right to make changes as it feels are appropriate and necessary at any time and without prior notice. The information contained in this website should not be considered as the basis of any investment or other financial decision; it is not a prospectus or an offer for sale or indeed an invitation to treat. Users are advised to carry out further investigations and seek further advice before acting on any information posted on this website. Advertisements on the website do not constitute a binding offer so that acceptance by the user cannot bind the seller, BPML or any of its Regional Partners. BPML hereby give notice that we cannot and do not accept any responsibility and/or liability for loss or damage of whatsoever nature that may occur by reliance on it howsoever arising. In the case of a Business to be sold through a share purchase agreement this website is prepared on the basis that the shares will consist of or include more than 50% of the voting shares and that both the seller and the purchaser is a body corporate, a partnership, a single individual or a group of connected individuals so far as to fall outside the scope of regulated activities as defined by the Financial Services and Markets Act 2000. This website may contain hyper links to third party websites. Where this website is linked to any website operated by any third party, BPML accepts no responsibility or liability arising in respect of any content or information on such website. The presence of a hyper link on this website shall not be deemed to be a recommendation or endorsement of such website by BPML. BPML are committed to protecting your privacy. We will collect and use information supplied by you and other users of the Website to improve the Website and personalise your experience when you visit the Website. We may also use it to tell you (via email, telephone, post or any alternative medium) about changes in our services, or about services and features we think you’ll find interesting. By registering with us, you are deemed to have consented to use of personal information for these purposes. The copyright in the material contained in the Website, together with the website design, text and graphics, and their selection and arrangement, and all software compilations, underlying source code and software (including applets) belongs to BPML, its Regional Partners or the providers of such information. All rights are reserved. None of this material may be reproduced or redistributed without our written permission. You may, however, download or print a single copy for your own non-commercial viewing. These Terms and Conditions are governed by English law and you agree to the jurisdiction of the English courts. 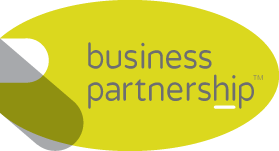 The business partnership operates as a network of Regional Partners, each of these Partners are governed by a code of practise and are encouraged to employ the highest of professional standards. The Regional Partners subscribe to this site and advertise businesses on behalf of their clients. A list of the Regional Partners and their contact details are available on this web site. We use the word ‘Partner’ to refer to the owner of a territorial business licensed to trade as ‘The Business Partnership’, or an employee of, or consultant to, the territory owner who is considered to be of equivalent standing. These Partners have no authority to act on Behalf of BPML any commercial or legal relationship entered into by the Regional Partners, of whatever nature, will not be binding on BPML. This section of these Terms and Conditions applies (in addition to the rest of these Terms and Conditions) to prospective and actual buyers of businesses on this website. 7.1. Before contacting a Regional Partner through this website you should carefully read the Terms and Conditions and as well as the following terms. If you do not agree to be bound by all of these, you should not contact the Regional Partners regarding the purchase of a business on this website. 7.2. BPML provides this website which gives you the opportunity to purchase businesses, [business opportunities or franchises] by contacting our Regional Partners who advertise on this website. BPML does not carry out any verification, investigations or due diligence into the information provided by the Regional Partners who use this website. BPML strongly recommends that you check and verify offers personally or through your professional advisers/agents. 7.3. The information contained in this website is not intended to form the basis of any investment or financial decision. Users are advised to carry out further investigations and seek further advice before acting on any information appearing on this website. 7.4. If you are contacted by a third party through your use of this website that appears to act inappropriately, dishonestly or incorrectly in any way, you will contact BPML via email at enquiries@business-partnership.com forthwith setting out full details. 7.5.You hereby agree to indemnify BPML or any claims, demands, costs, losses, expenses or damages it may incur howsoever arising whether direct, indirect or consequential as a result of your use of this website in breach of these Terms and Conditions. To treat all information contained therein, and as may subsequently be supplied with complete confidentiality. To make no approach directly to the owner or the Business and/or Property either personally, by telephone or in writing without the consent of a Regional Partner. To visit the Owner and/or the Business/Property only and strictly by prior appointment to be made and confirmed through the Office of a Regional Partner. To make no approach to the Staff of the business or discuss the proposed sale with any Staff member without the consent of the owner/s. To request and obtain any and all information required including any Financial Information solely through the Offices of a Regional Partner. To submit any offer for the purchase of the Business and/or Property directly through the Office of a Regional Partner and not directly to the Owner. The contents of this web site are Copyright and should not be modified or copied. All rights reserved Business Partnership (Management) Limited November 2009.